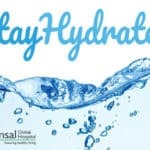 Bansal Global Hospital is proud to share another moment of success with you all. Dr. Suresh Bansal along with his expert team was able to successfully operate on 65 years old woman. The woman had been suffering with her knee pain for years but now hopefully she can lead a normal and better life. The total knee replacement will bring relief not only in terms of the pain being gone, but she would be able to live her life with dignity for the rest of her life. 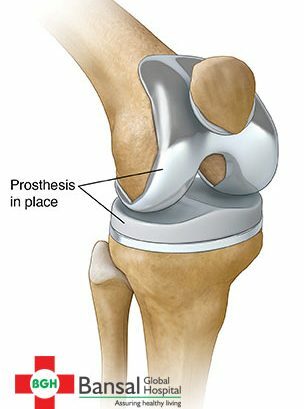 In total knee replacement, the knee is replaced with an artificial joint. The procedure requires a major surgery to be performed under the surveillance of experienced doctors with the help of skilled staff. Hospitalization for a certain time-being is recommended so the nursing staff also needs to be trained. 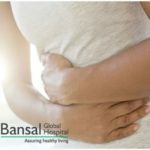 Bansal Global Hospital was able to provide all these facilities along with expert services in terms of treatment and care. You can also book an appointment for your loved ones in pain and help them regain their strength through medicines, exercises, and partial or total replacement of the damaged bone. For more information, please contact our helpdesk or leave us a query.